Which Dog food do you use? UplandJim wrote: Go grain-free. 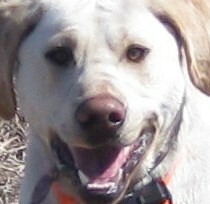 We will be using Taste of the Wild dry food. Here's a list of grain free brands. Grain free will work for dogs that are not being worked hard but I wouldn't recommend it without knowing what it will be fed to. Grain, especially corn is a very good ingredient for any working dog. I have been feeding my hard working dog a grain free diet for years and have loved the results. 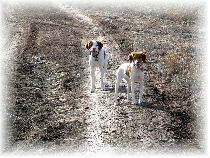 They hunt as long and as hard as any of the dogs we have hunted or trialed with. Go Grain Free. I do have to add that on a purely professional basis, Purina seems to be the only brand mentioned in the survey that has done a good job of Branding. I feed Fromm's. 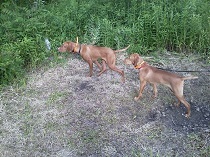 My Vizsla is the pickiest eater of any hunting dog I have ever encountered. I've tried all sorts of different foods and finally he dives right in to the Fromm's so that's what he gets. The other dog doesn't give a crap what he eats. Sportmix. Have fed it for 4 years and love the results! Last edited by Finelinegundogs on Tue Dec 18, 2012 8:02 am, edited 1 time in total. Last edited by BAYDOG on Mon Dec 17, 2012 12:10 pm, edited 1 time in total. "Been owned by many a great dog, but Lady the AWS by far is the best"
Acana with a couple squirts of salmon oil. After pup turned a year old she started dropping weight. This has been the only thing that has kept the weight on her (although still only about 35 lbs.). We use Merrick dog food. My last post in this thread was in 2008, so time for an update. Zoey is 14 now, doing very well for her age and her new food is a kibble called NEW FRONTIER. I switched because I noticed she was having some issues with stool formation. She would have a normal front end stool, but the back 1/2 very loose. I think maybe the higher protein feeds were becoming a little too 'rich' for her system, and she is doing much better on the lower protein kibble (26/14). Either that, or she was getting into the cat food and litter box .... Anyway, New Frontier is the new diet. Guess I'll be the first to mention Earthborne Holistic. The dogs do great on it and I'm constantly getting compliments on their skin and coat. Energy is great! Weight stays steady! My dogs eat home cooked. I know what is in it, it is the same food that humans eat. There is no food from China in it. I lost a dog during the melamine contamination and I will not be taking any risk of doing that again. Meat, some sort of carbohydrate, veggies, and fruit, all in a stew. Ingredients get varied often so they aren't eating the same thing all the time. Some combination of: Beef, chicken, pork, fish, rabbit, duck, goose, elk, turkey, cheese. Sweet potato, brown rice, barley, quinoa, rolled oats, wheat. Ground broccoli, carrots, squash, pumpkin, cauliflower, Apples, blueberries, peaches, melon. Part of it depends upon what is on sale, what is coming out of the garden, what the family fisherman brings home. Cost is pretty much in line with what the super premium dog foods cost. Cost also depends upon what is on the menu. Beef and fish cost more than chicken or pork. I am very careful to not actually figure out what the fish costs, but a lot of money goes into catching it. northforkecap wrote: I've been using the Diamond Puppy (purple bag) for the last 2mos or so. 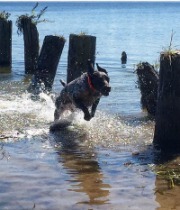 My 5 mos GSP looks and acts great (coat, energy, etc.) but after I switched to it, I've noticed some of her BM's are loose and she gases everyone out when she's in the house. Anyone else had these problems? I've thought about asking my vet about when to switch her to the adult mix and see if that changes anything. I don't know if this holds for dogs but, my doctor told me, a long time ago, that gas is the sign of a healthy intestinal track. Besides, I've never met a good dog that didn't gas. For humans too? If so, I am fit as a fiddle! I am not as concerned with the cost as I am with the protein, fat, and mineral that's in it each day. I use Victor Dog Food. If you want your dog to perform at the highest level, use a quality dog food! Native is actually rated very high (5 stars on dogfoodadvisor) so kudos to them. 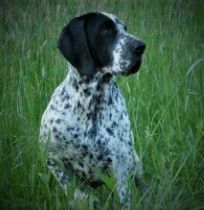 But for some reason my english pointer doesn't like it. too bad because I would love to give it to him. They need to improve flavor. I currently give Kirkland but will change because of reviews and ratings. Will try Diamond, Kinetic and Victor. btw: Purina PP has some of the worst ratings and reviews online! I recently switched my French Brit from Acana to Farmina. He seems to love it and performs well on it. Other: Kirkland from Costco, which is basically Diamond. Roughly 28%/17%, has salmon oil, plenty of veggies, and good bacteria for the gut. Nutrisource Super Performance Chicken & Rice 32/21. Two cups day for a 60# dog. ctn830 wrote: btw: Purina PP has some of the worst ratings and reviews online! That is one of the main reasons for discounting the online rating sites as total bunk. There is quite a difference in making up dog food ratings as a thought process from emotional headspace and actually feeding stuff to hard working dogs. I feed raw. Chicken, beef, pork, venison, duck, goose, lamb, goat, pheasant, chukar, and fish, flesh and bones. Liver, spleen, kidney, brain, tripe, tounge, and testes, from various species round things out. Sometimes I feed to dog natural food and homemade food. 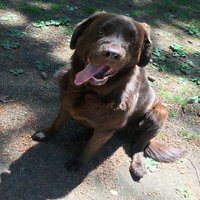 As a dog owner, one question that’s often weighed heavy on my mind is whether or not I was giving enough food and proper food to my dog. I think it is very important to choose the right food for a dog for their healthier life and get full of energy. 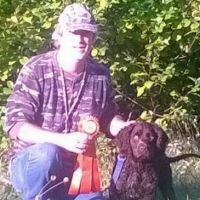 I have been using Sportsman's Pride 26/18 for several years now. It comes in 50# bags. Dogs do very well on it. FWIW, Purina Pro Plan Performance 30/20 is the gold standard in dogfood for competitive performance dogs. comparing most dogfoods, including the one I use, to PPP is like comparing regular gasoline to airplane fuel. If it wasn't so darn expensive I would feed it myself. It is absolutely consistent, bag to bag...year in and year out. It has everything the dog needs, in the right amounts. The dogs have incredible energy with relatively small amounts of feed and their stools are small and tight. Several feeds are quite good, and over the years I have fed a number of good feeds. But there is a reason why most of the top winning field trial dogs are on a Purina Pro Plan Performance diet and it ain't just because they get a volume discount. If I only had one dog I would feed Purina Pro Plan Performance 30/20. birddogger2 wrote: I have been using Sportsman's Pride 26/18 for several years now. It comes in 50# bags. One of the things I never paid attention to or even cared about was the amount of poop except when we were doing feeding research. So many more valid things to think about it just doesn't seem important though I understand what you are saying. Have now switched to Hi-Tek Naturals. Was hard to get Fromms and they raised their prices to a level that I looked around for something new. Tried several new foods and this is the one the dog decided he liked best. Have used both the Salmon and the Chicken grain free. I'm not convinced that one food is really any better than another. Some have higher protein but seem's to me over the years, what ever food the dog's ate well they did well on. Even tried Atta Boy one time. Now that was not a good food. Only food I ever recall feeding that the dog's lost energy really fast when worked. The majority of people don't hunt their dog's hard enough to require higher protein food or any of the specialty brands. But at the same time, if you can afford them and the dog's like it, I doubt they will do any harm. Now if your trialing a horseback dog, especially one hour + stakes, they may be a lot to higher protein foods. Then I'd say conditioning is pretty much a year round process and it's best to keep the dog on the food the dog eats and maintain's the dog's endurance. The deal, IMO, with all the custom feed's is advertising. I recall many years ago Gains had a facility where foods were actually tested on the dog's daily. If anyone is doing that today, I haven't heard of it. If high protein is your thing and your dog's eat it, go for it!If grain free is for you and your dog eats it, go for it. Best food I ever fed was Biscuit by Kennel Ration. Baked food and every dog I ever fed it to ate it well. In fact wheen turning them over to it, I mixed it half and half with what ever I was feeding and the time. Every one picked out the biscuit and left the rest, every one! ezzy333 wrote: One of the things I never paid attention to or even cared about was the amount of poop except when we were doing feeding research. So many more valid things to think about it just doesn't seem important though I understand what you are saying. I think the amount and consistency of the of the stool is one of the most valid things in choosing a dog food and also one of the first things you will notice. To me a food that causes large amounts of loose poop is not a good choice. I have never found a food my dogs would not eat. Not sure how many dogs you have but PPP 26/16 isn't really that much more expensive than Sportsman's Pride 26/18. On Chewy.com PPP 26/16 is 45.58 for a 37.5 or $1.22/lb. Sprotsman's Pride 26/18 is 33.98 for 33 lb. or $1.03 per lb. So even if you are feeding 2-3 dogs the cost per year really isn't that much more for PPP. That isn't necessarily true. You need to read the facts. It isn't just the fact that it's grain-free. You need to look at the ingredients. Apparently the foods that are causing the problems don't contain Taurine, or enough of it. I see a lot of dog foods are now listing Taurine as one of the ingredients. I was never a believer in grain-free dog foods until I got my current Brittany that ended up being an allergy dog. Tests show she is allergic to most all protein sources except pork and venison. For the past year I have been feeding her a grain-free, limited ingredient food with pork from Zignature and she has done very well. 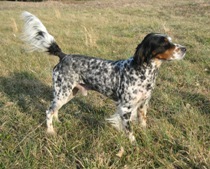 It's protein/fat is 31/18 which if good since she is a big running field trial/hunting dog. Zignature has added Taurine to their foods. I noticed recently that the TS where we get our PPP carries this stuff called 4Health. What you wrote is normally right as far as allergies go and as you said it has nothing to do with being grain free because 99% of all food allergies are caused by the meat since it is the main protein source and that is where the cause ususally lays. ezzy333 wrote: What you wrote is normally right as far as allergies go and as you said it has nothing to do with being grain free because 99% of all food allergies are caused by the meat since it is the main protein source and that is where the cause ususally lays. The problem comes when your dog is allergy positive for chicken, lamb, salmon, turkey and beef. It doesn't leave a lot left to chose from. Like I said, she was negative for pork and venison but venison dog food has become very expensive to that left pork. When I did find a food with pork so many of them also contain chicken meal or lamb meal. Zignature was one of the only ones that didn't. It's a little on the spendy side at $55 for a 27 lb. bag but with only one dog it's not that bad. To find a food like that you are probably going to have a grain-free food. I also think for allergy dogs that using a "limited ingredient" food is beneficial as it limits the sources of potential allergies. I should add that in order to get her itching and biting under control we were giving her injections of Cytopoint and that worked extremely well. The Cytopoint shot is suppose to last 4-8 weeks but we have been getting by much longer since she has been on the Zignature dog food. Her last shot was over 3 months ago. Settertude wrote: I noticed recently that the TS where we get our PPP carries this stuff called 4Health. I believe that is Tractor Supply's house brand. I've never fed it, nor known of anyone that does. But in looking at the ingredients and analysis it would appear to be a pretty decent food. It's made for them by Diamond from what I've found on the web.